Every so often a book will pop up on my radar and I'll get this feeling, as if I know something really great is written between those pages. I felt this way about OPEN ROAD SUMMER when I first learned about this contemporary YA from debut author Emery Lord. The cover alone begged for my attention.. those soft colors, that gorgeous large print, the couple stealing a kiss... every bit of it had me staring in awe. Then once I read what it was about, I pretty much knew I would love this story. And you know what? My gut was right. I adore it!! Reagan and Dee are best friends. It's always been them against the world. Reagan being the wild child, stemming from a broken home and a bruised heart, leans on Dee as her solid ground. But Dee is not your typical best friend. She's got a hit record and adoring fans, plus a reputation to withhold. Good things she's got her head screwed on straight. As Dee is embarking on a summer concert tour, she invites Reagan along for the ride. Dee sees it as a blessing to have her best friend around when the craziness of this glamorous life can get to be too much. But Reagan is taking it as an opportunity to find her footing and start over. Just before the summer she found herself in a bit of trouble, and in true Reagan form she tells herself this is a chance at a fresh start, but really she may just be running away, like she always has. The relationship between these two girls is laid out with a solid foundation. Their friendship felt very real as the first few chapters flew by. I must give props to Emery Lord for laying the proper framework, allowing the reader to gain a solid grip before conflict walked through the door. That sweet conflict comes by the name of Matt Finch. He's been brought on tour as the opening act to help squelch some ugly tabloid rumors about Dee. His presence is made to look like the good ol' boy that America loves, and loves seeing side by side with Dee. But it isn't Dee who has caught his eye, it's Reagan. Her stubbornness, witty comebacks, and irresistible sarcasm has made him putty in her hands. I loved the way Matt and Reagan interacted. Though you knew immediately he liked her, and obviously she liked him back, but was too strung up in her own past demons to admit it, their path to trust and finally love was a sweet, playful ride to be on. Themes such as friendship, family, young love, and following your dreams are all present through out this story. They vary in different degrees from character to character, but all come back and make sense with one another. As the tour takes them from city to city, the landscapes of each town along the way really resonated with me. Especially a certain scene at a Fourth of July festival. Summertime has always been a favorite backdrop for contemporary YAs for me, and this one definitely hit the high note in that regard. Emery Lord's writing is charismatic, beautiful, witty and grows with you as the story marches on. If life hadn't demanded me to do other things, I could have easily read this in one sitting. 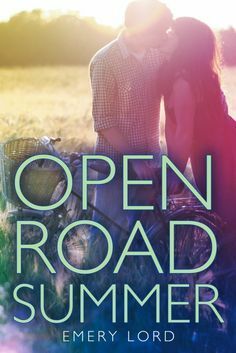 Fans of contemporary YA will devour this book and find themselves singing along to "Open Road Summer", wishing they had a best friend like Dee and Reagan, and a young love like Matt Finch. I already know this will be a definite summertime reread for me! 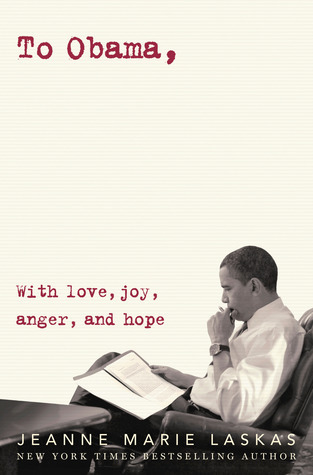 This is the perfect way to sum up this amazing book! I could feel what you were feeling just from reading this. And as a person that read the book already, you are spot on! Nicely done. This sounds really good. I don't always love contemporary, but for some reason have found myself more drawn to them lately. I will definitely be adding this one to my TBR. I think we talked about that I really liked this, too. It really is a great summer read with a good amount of substance. I completely agree with what you said about Emery Lord doing a great job laying down all the background before conflict came into the story. I really appreciated the lack of melodrama and how well everything about the story was handled. I liked the sound of this one before, but now I'm even more excited to check it out! I love this cover, too. And how great is it when you are expecting a book to be amazing, and then it actually is! I definitely want to read this one, although I'm not always a huge fan of road trip books. I don't think I could possibly be more excited for this book. Seriously. My Twitter and Goodreads feeds have been awash in praise for it for the last week or so and now I just want to fast-forward to April so I can see what all the fuss is about! Like you, I will often get a certain feeling that a book is the perfect choice for me, and between the road trip and the emphasis on female friendship, not to mention the inclusion of the music business and what sounds like a sweet, swoon-worthy romance, it sounds like Open Road Summer was written just for me. Seriously. IS IT APRIL YET? !